The Teaching Festival Committee is now accepting proposals for presentations and posters for the 2019 Teaching Festival. 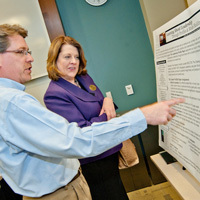 The Teaching Festival will be held the week of Feb. 11, and proposals will be accepted until Jan. 9. All Webster instructors, part-time and full-time, are invited to participate. The Teaching Festival Committee is now accepting proposals for presentations, posters, panels, and roundtable discussions for the 2018 Teaching Festival on the theme “Teaching Toolkit for Engaged Learning.” The Teaching Festival will be held Feb. 12-16, 2018, and proposals will be accepted until Dec. 15. 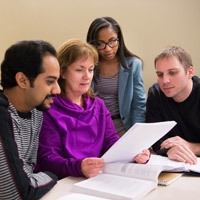 Faculty, students and academic partners are invited to attend a workshop entitled “Creating Meaningful Change: Building an Inclusive and Empowering Classroom Environment,” Friday, Feb. 17, noon-1 p.m. in the Library Conference Room (Library 120). In this hands-on session, participants will strengthen their self-awareness of how they approach diverse identities (such as race, socio-economic status, gender, ethnicity, sexuality, nationality, ability/disability, etc.) 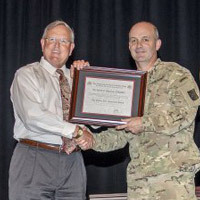 while developing strategies for communicating with all students in their classes. Faculty, students and academic partners are invited to attend two workshop sessions on Feb.16 about engaging students in the classroom by Julie Smith of the Communications & Journalism Department. Session one: “Wake Them Up! Engagement Strategies for the College Classroom,"will be held Thursday, Feb. 16, from 11 a.m.-noon in the Library Conference Room (Library 120). Session 2: “Finding the Student Voice of the Introvert,” will be held Thursday, Feb. 16, from noon-1 p.m. in the Library Conference Room (Library 120). The Teaching Festival Committee invites proposals for presentations, posters, panels, and roundtable discussions for the 2017 Teaching Festival on the theme, “Finding and Sharing Voice: Active Learning for Inquiry, Agency, and Leadership.” The Teaching Festival will be held Feb. 13-17, 2017, and proposals will be accepted until Dec. 16. 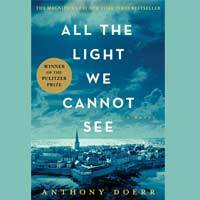 As the summer term begins, it is time to enjoy summer reading. 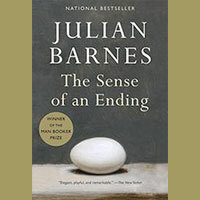 Webster University Book Club hosts its next meeting on Monday, July 18, at noon in the Library Conference Room to discuss Julian Barnes' "The Sense of an Ending." Everyone is welcome. For those unable to attend the 2016 Teaching Festival, a webinar featuring highlights, interviews and live interaction with presenters will take place Feb. 25, 5-6 p.m. 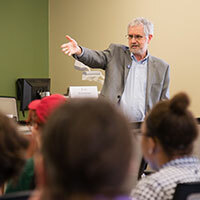 The annual Teaching Festival is hosted by the Faculty Development Center in collaboration with the Online Learning Center and University Library staff, and is facilitated by Webster faculty, staff and students with a variety of events related to the scholarship of teaching and learning. The weeklong 2016 annual Teaching Festival will take place Feb. 15-19 in Emerson Library. 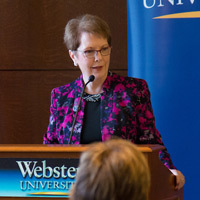 The festival, which is a partnership of the Faculty Development Center, the Online Learning Center, Emerson Library and the Writing Center, is an occasion to share effective and innovative teaching practices of Webster faculty members. 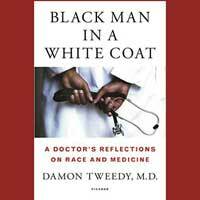 Next up in the Webster University Book Club repertoire is Damon Tweedy’s "Black Man in a White Coat: A Doctor’s Reflections on Race and Medicine," which tells both the story of Tweedy’s medical school experiences as an African-American man interspersed with a broader discussion of health and health care issues related to race. Discussion will be held Monday, Jan. 11, at noon in the Library Conference Room. Everyone is welcome. 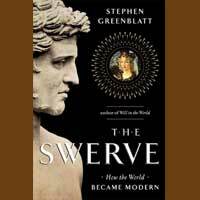 Next up in the Webster University Book Club repertoire is "The Swerve: How the World Became Modern" by Stephen Greenblatt, which tells the story of the 15th-century discovery of a long-neglected manuscript. Discussion of "The Swerve" will be held Monday, Nov. 16, at noon in the Library Conference Room. Everyone is welcome. Islam Qasem will present at the Clingendael, Julie Smith published a book on media Llteracy, and Jodie Borgerding was elected president of the Missouri Library Association (MLA).